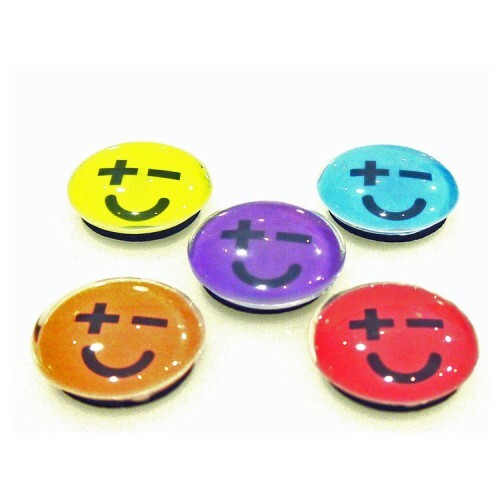 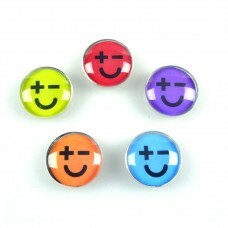 These smiling crystal magnets will brighten up any fridge or notice board. 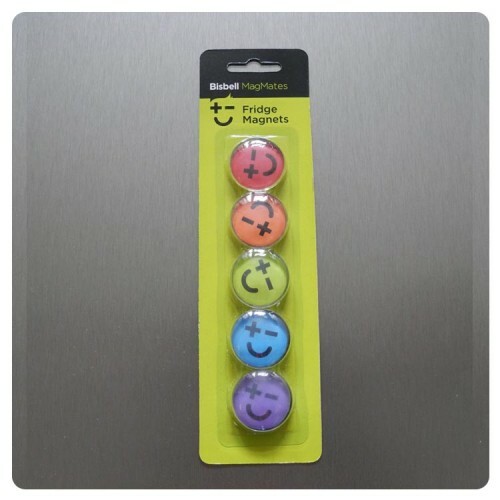 Pack contains 5 colours: Red, Orange, Green, Blue and Purple. Magnet size - 30mm diameter.